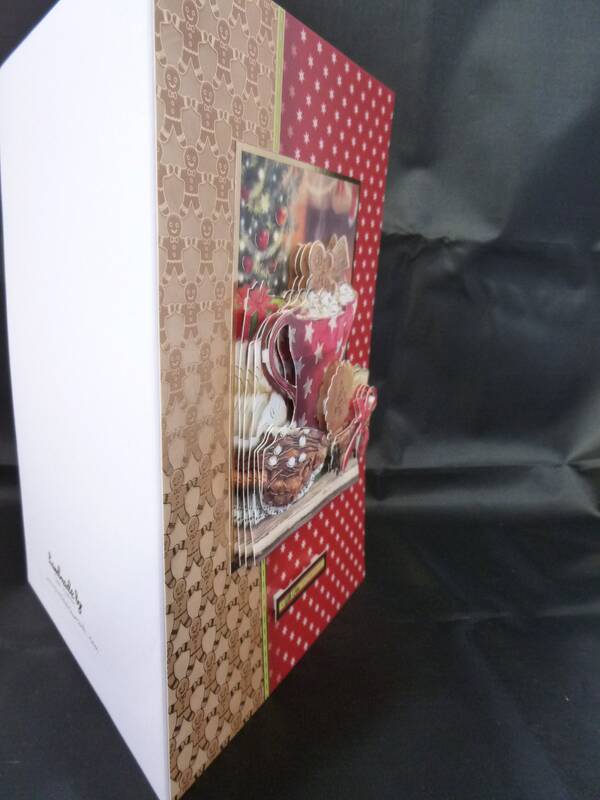 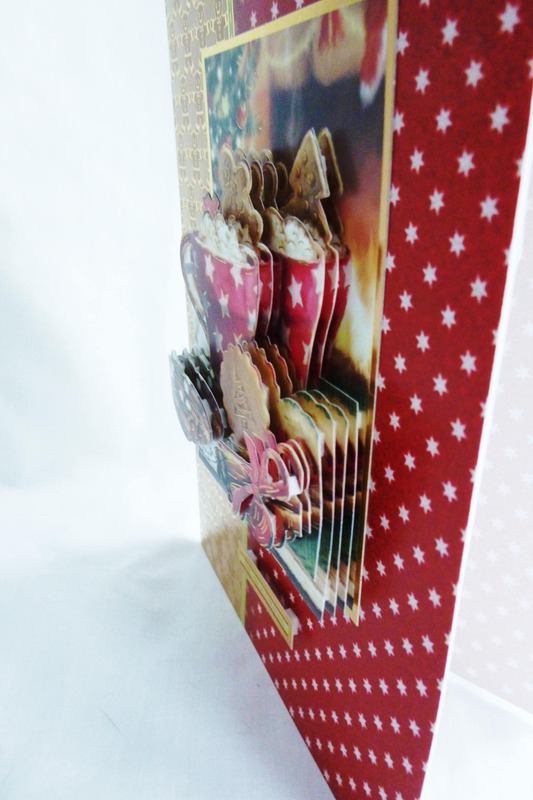 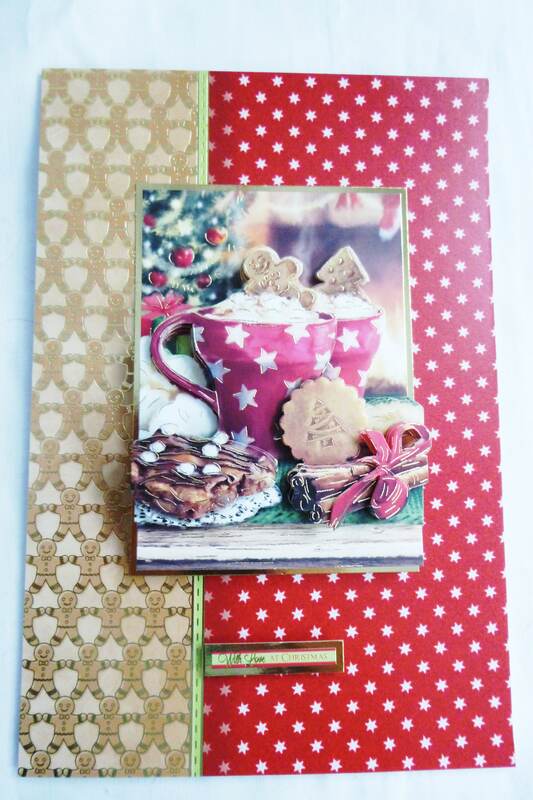 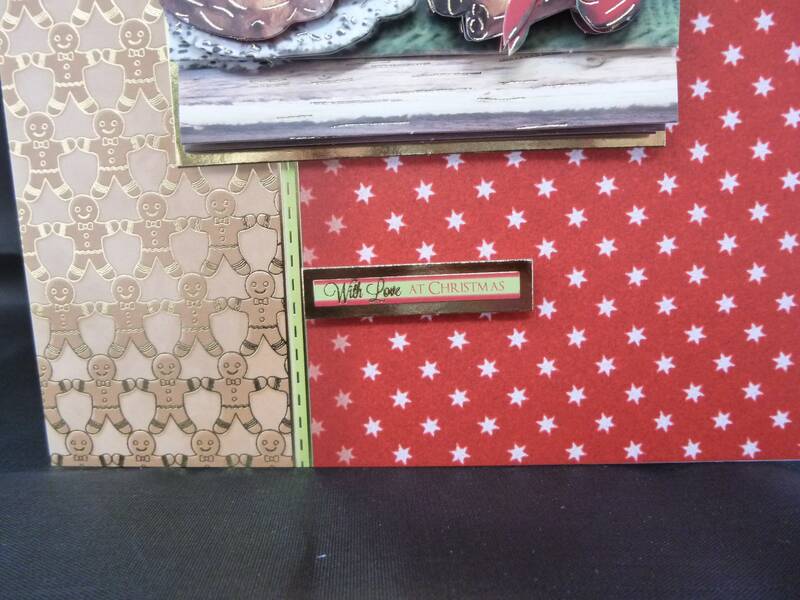 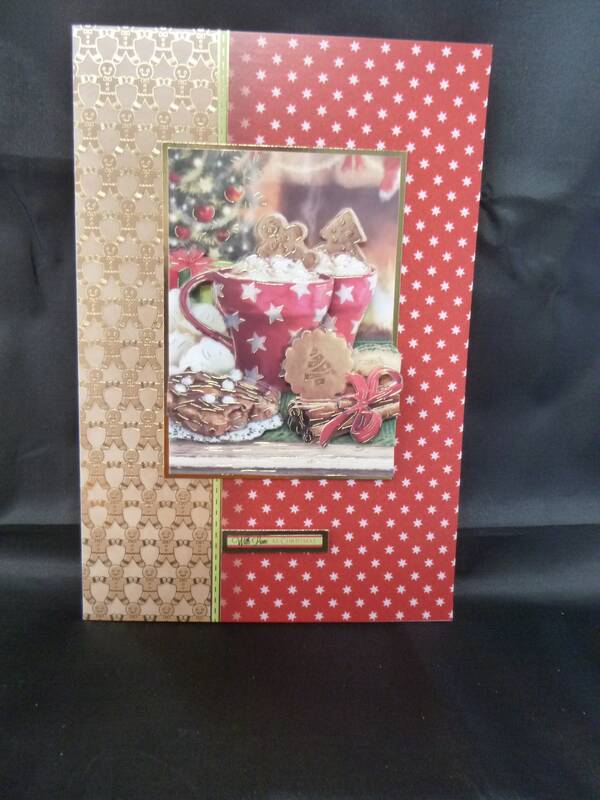 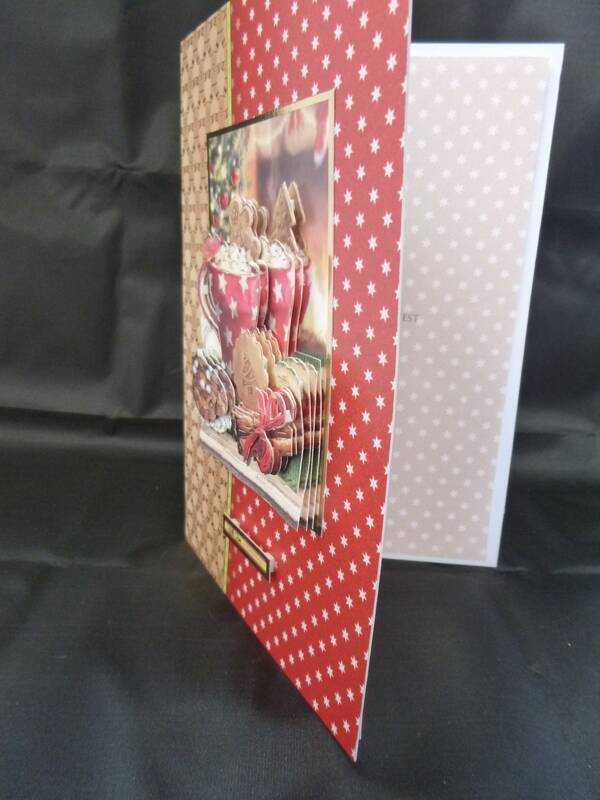 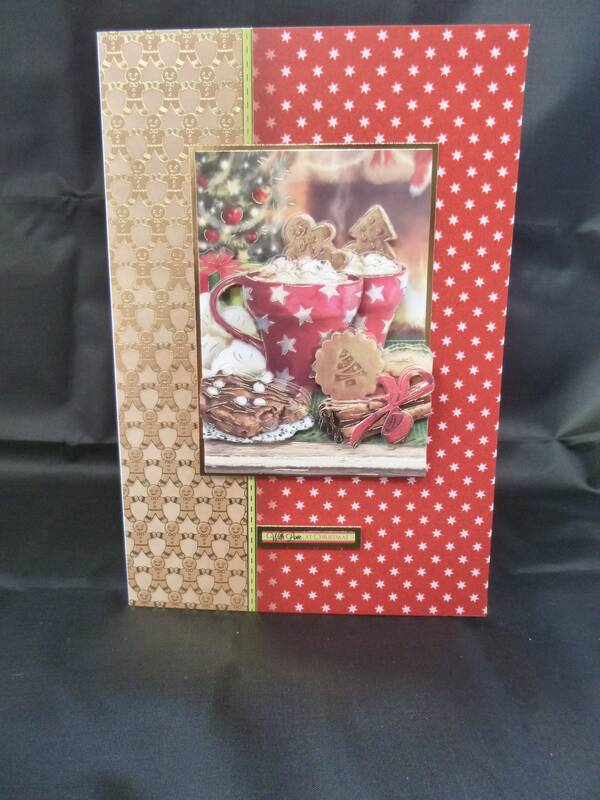 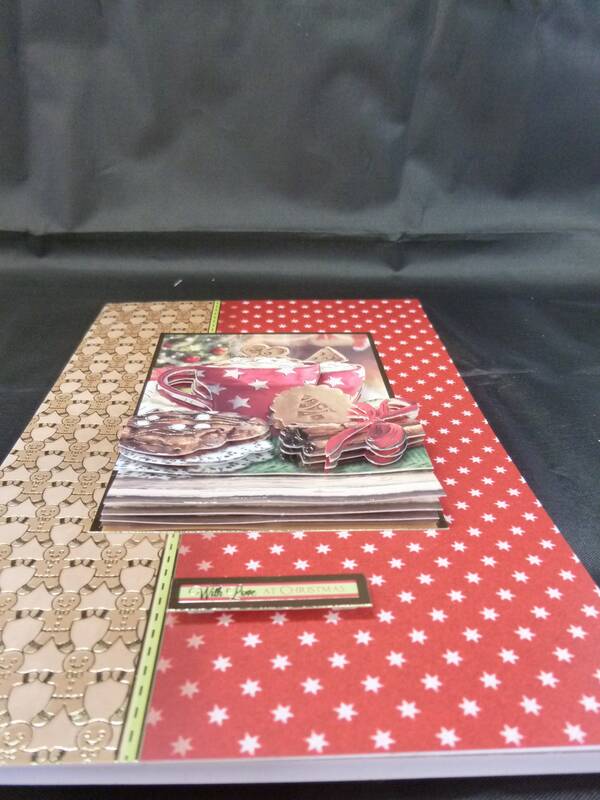 Christmas card, greeting card, ginger cookies and hot chocolate, done in 3 d decoupage, back ground is red and gold with gold ginger bread men. 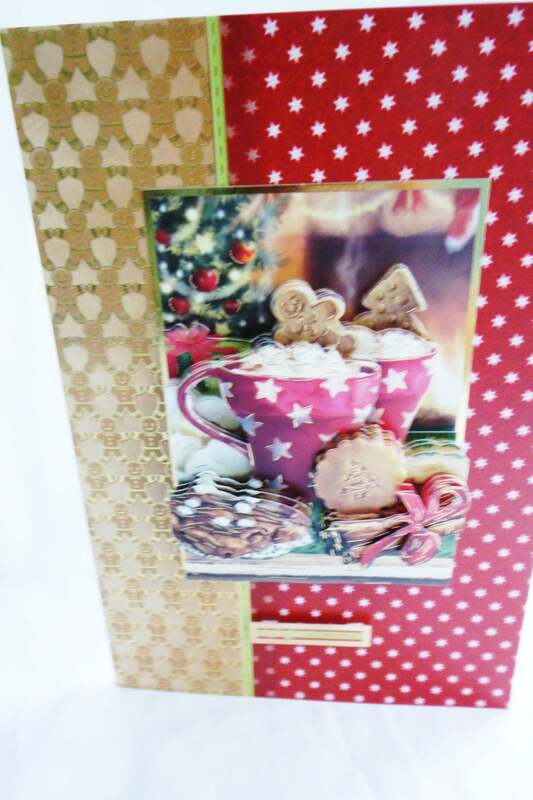 A small sentiment at the bottom of the card, saying,' With Love at Christmas '. 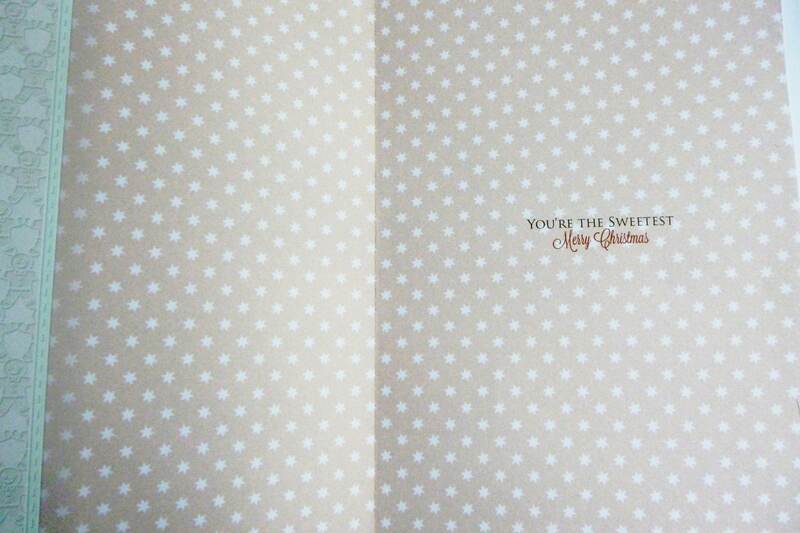 Inside the card is matching insert paper, 'Your the Sweetest'.